In 2009, Ranjitsinh Disale began teaching at a government school in the western Indian state of Maharashtra. Like many schools in remote Indian villages, attendance was low as students were needed at home to help support their families. Not one to accept the status quo, Disale took action. Disale, who will be attending next month’s E2 in Paris, found what he needed to engage his students through Microsoft’s #MIEExpert program, where fellow educators share valuable insights on integrating technology in the classroom. Fast forward to 2017, Disale started India’s first Skype Virtual Field Trip. Since then, his students have explored the world. During these virtual field trips (VTF), students can watch him performing a series of experiments in his laboratory, go on a tour of a local textile factory, or learn about dinosaurs with exhibits at the Science Center. In addition to taking his students around the world on Skype, Disale is also guiding his peers in the optimum use of technology in the classroom. 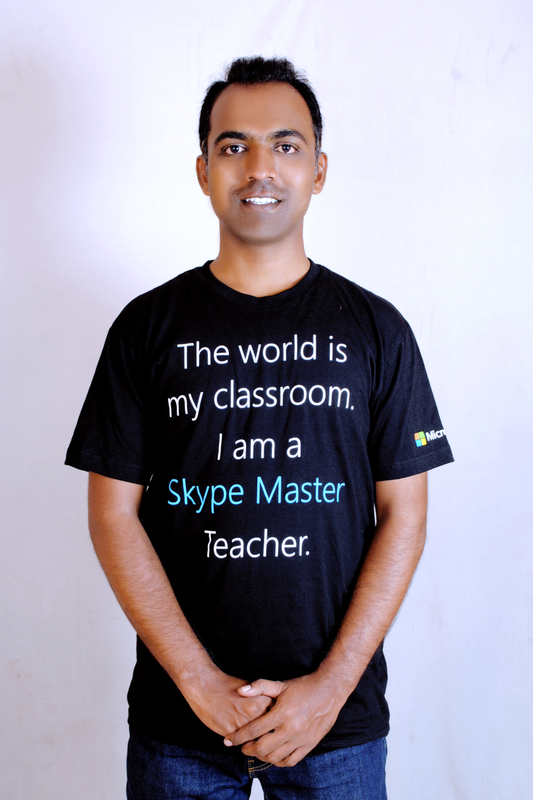 So far, he has trained more than 12,000 educators and enrolled them in the Microsoft Educator Community. Disale has had many proud moments as an educator. One of the proudest was being included in one of Microsoft CEO Satya Nadella’s #Hit Refresh videos as one of three changemakers making a difference across India. You can connect with Disale on his Microsoft Educator Community profile, Twitter, or his blog. What is the best advice you have ever received? One of my colleagues advised me to follow my passion.